The name of Yuri Krotov as an artist became known to the art-lovers in Europe in 1992 during the sale of Russian paintings at the auction room Drouot in Paris, Thanks to perfection of an academic technique of painting, bright coloring and emotional richness the artist’s work has gained a lot of admirers which is reflected in a high commercial rating at the European art market. 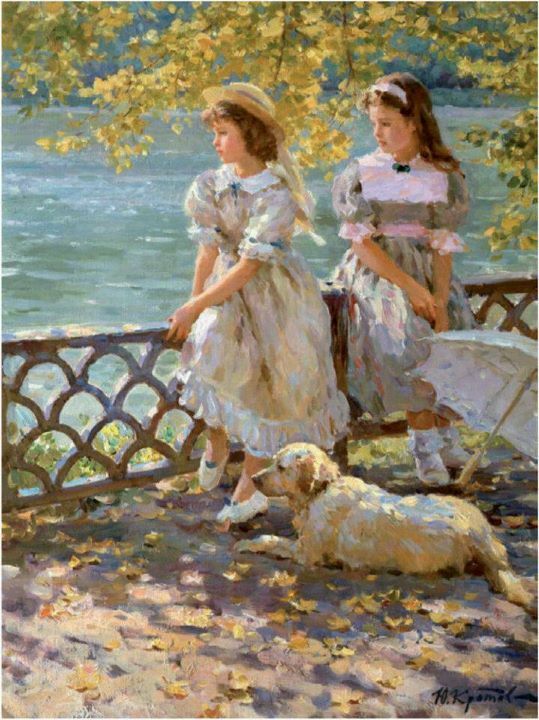 Since then Krotov’s paintings have been permanently displayed for sale at the painting auctions and exhibited at the galleries of Europe and USA. This entry was posted on 2011/11/25 by Anemalon. It was filed under Lyrik .